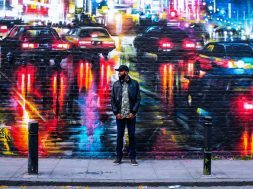 Previous Video GUVNA B RELEASES 'EVERYDAY' TAKEN FROM HIS HIGHLY ANTICIPATED ALBUM FOR APRIL 2018. New to YouTube (released just 2 weeks ago!) from the album For Such A Time As This – this stunning piece of videography for Thankful by Karl Nova makes for the perfect winter viewing. The juxtaposition of a bustling, busy London City at night B roll (with all the lights) with the piano heavy backing track is BEAUTIFUL! The video will cause you to think of all God has done for you. 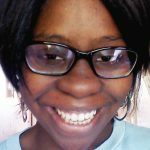 Some moments display excellent editing skills and will be a delight to your eyes. Cutting to the artist looking out creates intimacy and a sense of journey. Much effort has gone into the production of this video and it shows. I came into this review with an open mind. 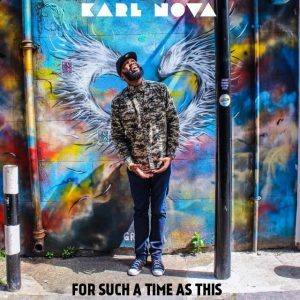 I hadn’t really listened to Karl Nova’s music before. Although average lyrically, I appreciated Nova’s delivery and style which match the general tone of the track and video. The lyrics were also repetitive at times (not just referring to the chorus). However, it’s very relaxing and the vocals provided make for a nice touch to the overall vibe of the track, balanced well with the Nova’s rapping. 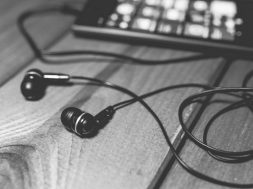 There’s a trend where #UKCR tracks include spoken word. It’s a trend I do not understand or rate. It feels dated and unoriginal – especially when it is out of place with everything else in the track. The spoken word section could have been replaced with more vocals from the bridge (think 112 in Puffy’s I’ll be missing you). This would have enhanced corroboration with the video and track- saving the spoken word piece for an appropriate open mic night. All in all – the video is a visual masterpiece and cannot be faulted. The chorus and hook will stay in your head and everything works well. previous GUVNA B RELEASES 'EVERYDAY' TAKEN FROM HIS HIGHLY ANTICIPATED ALBUM FOR APRIL 2018. 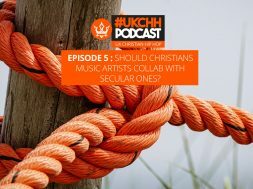 UKCHH PODCAST – EP5 – SHOULD CHRISTIANS ARTISTS COLLAB WITH SECULAR ONES?